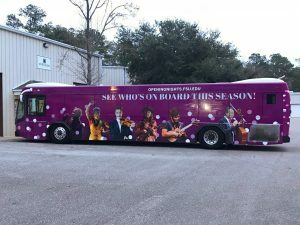 Maximize your marketing opportunity with custom bus wraps and graphics by Kanban Signs! 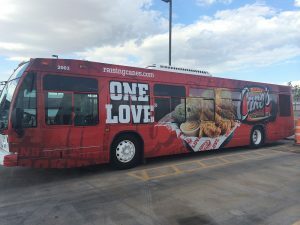 Whether you own a single bus or a fleet of buses and are looking to advertise your business, Kanban Signs has the tools, skills, and resources to create attractive, impactful bus wraps for any business. We create full, partial, driver side, passenger side, and rear wraps to advertise your marketing message, everywhere your bus goes! Are you looking for creative, exciting ways to increase your brand and business visibility? If you own a charter bus, tour bus, personal RV, or are looking to advertise your school, church, or organization, Kanban Signs can design, fabricate, and install an attractive, eye-catching bus wrap that gets you the attention you desire. 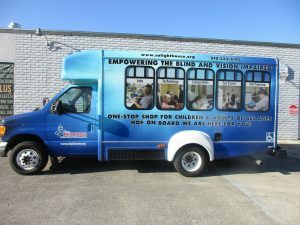 Bus wraps give you the freedom that not a lot of other sign types can. 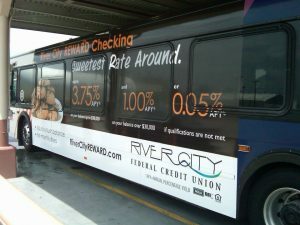 Think of all the promotion and advertising you can do with an entire bus as your canvas! 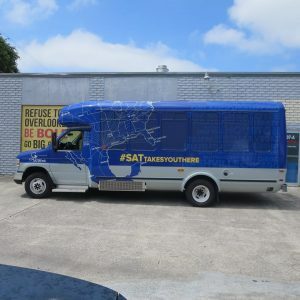 With all of the space you have on your vehicle, Kanban Signs can help give you an effective and impactful bus wrap design. Kanban Signs offers numerous ways of customizing and personalizing your vehicle wrap. We have clear bus wraps that are transparent wherever there’s no print. With a creative design and strategic layout, you can give your bus a more bespoke advertising appeal. At Kanban Signs, we produce full-color bus wraps meticulously cut and installed to cling snugly on your vehicle for a long time. Already have a design for your bus? That’s great! You can simply send us a high-resolution file of your desired design and layout so we can go ahead and print it out for you on high-quality cast vinyl or calendared vinyl. Don’t have a design yet? No worries! Kanban Signs has a team of the best local graphic artists who can work with you to come up with the ideal wrap design for your brand and budget. Kanban Signs also caters to businesses that want to use bus wraps only on a short-term basis. If you’re one of these businesses, then we have the vehicle wrap options that you need because we’ll make the process as efficient and economical for you as possible. Kanban Signs understands that nobody wants to spend a lot of money for something that’s going to be taken off, and this is exactly why we have affordable options for you. By using reliable materials such as vinyl and coroplast, we produce attractive and durable bus wraps at very reasonable prices. Bus wraps by Kanban Signs are also designed to make installation and removal as hassle-free as possible. For businesses looking to get their vehicle wraps updated regularly or on a more frequent basis, our wraps are easy to install, remove, and replace. Some types, when stored properly, can even be reused! Having been a reliable local sign provider for many years, Kanban Signs understands that our strength lies in the fact that we can assist our clients in all stages of the sign-making process. We don’t just print. Our team of artists, engineers, project managers, sign experts, and marketing specialists work hard to design, strategize, print, cut, install, and maintain high-quality bus wraps. Kanban Signs is all about producing signs, banners, and vehicle wraps that we can be proud of, and we’re so excited to be a partner you can trust to meet your business needs. Interested in getting the perfect wrap for your vehicle? 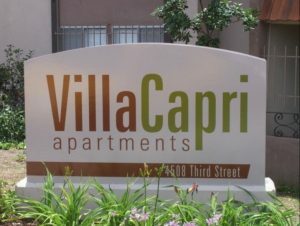 Let our signage specialists help you out. Kanban Signs’s experience and knowledge in bus wraps can help answer your questions and give you an idea of how bus wraps can have the potential to increase foot traffic and boost sales in your business. Call Kanban Signs today at (619) 503-3634 for your Free Consultation with a Bus Wraps Expert!